The resiliency of our superintendents and other school district administrators continues to amaze me. I was a superintendent for 27 years and I can say without hesitation that when I am in a room with other superintendents, I still get excited engaging with them, listening to their conversations and learning about their successes and the successes of their respective school districts. 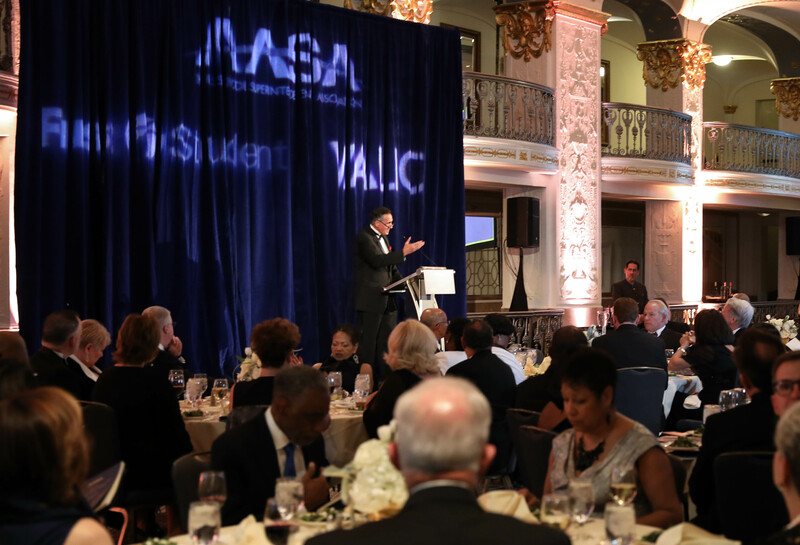 Last week, it was an honor to stand before the nation’s State Superintendents of the Year at the 2018 National Superintendent of the Year Gala, held in Washington, D.C. The men and women gathered were living proof that great leaders really matter. It was clear that great leaders are making a difference for the students and families they serve. One key driver of an evolution in his district and throughout the country is David Schuler, past president of AASA, the 2018 National Superintendent of the Year® and the superintendent of Township High School District 214 in Arlington Heights, Ill. Honored at our Gala, David leads our Redefining Ready! Cohort, an initiative that introduces new research-based metrics to more appropriately assess whether students are ready to pursue their lifelong goals and dreams. Through this program, AASA members are helping to create real-life workplace situations that are providing students with a taste of life beyond high school graduation. No one can argue that there are scores of superintendents nationwide, like David, creating winning solutions for their students and the communities in which they live. This is why leaders matter. Earlier this year, AASA was pleased to launch our Leaders Matter campaign as a way to showcase the exemplary work by superintendents and other educators. We continue to receive success stories from school districts large and small spotlighting the outstanding work being done encompassing critical issues such as advocacy, professional development, social and emotional learning and much more. I am so grateful to be associated with thousands of great leaders who are trying not to fix or tweak the education system but transform it by doing the right things to meet the individual needs of our kids—to allow them to do what motivates them to be successful. That’s what AASA is all about. That’s what superintendents are all about. Our school system leaders are working tirelessly on behalf of future political leaders, doctors and lawyers in America. The reality is that school system leaders are working tirelessly on behalf of future educators, journalists, machinists, plumbers, welders, carpenters, steel workers and law enforcement officers in America. The reality is that school system leaders are working tirelessly on behalf of all students covering all professions imaginable—and especially those that haven’t even been created yet. There is no better voice representing our students than the superintendents who are leading the charge in our school districts. Thank you for the work you do. Happy Thanksgiving! 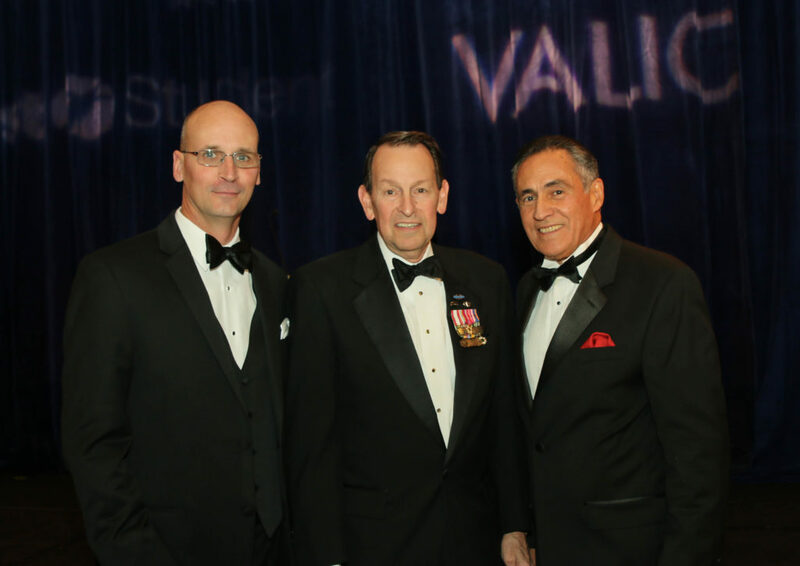 This entry was posted in Education, Equity and tagged 2018 AASA Superintendent of the Year Forum, AASA Superintendent of the Year Forum, Dan Domenech, Leaders Matter, Mick Zais, Superintendent of the Year Gala, Thanksgiving, U.S. Deputy Secretary of Education Mick Zais by Dan Domenech. Bookmark the permalink.